Of course, unless you’re looking at reclaimed barn wood or other repurposed lumber, your project won’t really have a slice of history in it. Aside from sentimental value, your chosen lumber supplier’s history might not be important to you. But maybe it should be. Maybe it is relevant, not just to the project at hand — but like all history — beyond the surface level. Whether you’re a history buff or not, you know that a person’s past impacts his or her life, today. So it is with companies, as well as with nations. While a rich heritage is certainly not enough to establish current value, it does provide valuable insight into what makes a company tick. J. Gibson McIlvain lumber company has a long and significant history of hard work, expertise, and respectability within the lumber industry. Is anything worthwhile in life born in complete safety? The early beginnings of the McIlvain lumber dynasty predate the American Revolution. Demonstrating the kind of tenacity required of all Colonial Americans, Hugh McIlvain established a lumber business outside Philadelphia in 1798. Those humble beginnings along the Schuylkill River presented risk primarily because of their distance from the more established “board yards” within the city of Philadelphia. As urban sprawl took the form of westward expansion, Hugh’s risk proved worthwhile: the McIlvain Company was positioned in an ideal location to provide building materials for the up-and-coming growth. Ideally situated near newly constructed bridges and the Baltimore road, the little business began to grow. That growth continued during the Napoleonic conquests in Europe and resulting embargoes on international trade by Thomas Jefferson. While many competitors declared bankruptcy, the McIlvain enterprise continued to thrive. 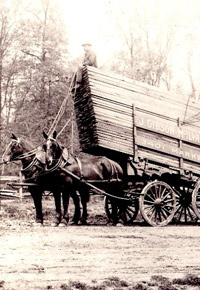 Throughout the 1800s and early 1900s, McIlvain Lumber grew to meet the needs of a growing nation and growing need. 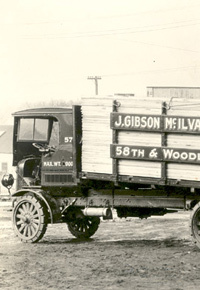 Finding its niche in supplying domestic hardwoods, the McIlvain company largely supplied cabinetmakers as well as the automotive, railroad, and shipping industries. In 1960, our White Marsh, MD, warehouse — still the location of the J. Gibson McIlvain Company headquarters — was established in order to improve service to customers in DC, Maryland, and Virginia. 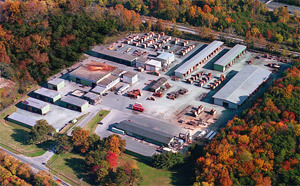 Positioned strategically near the port of Baltimore, this location proved ideal for expanding into the lumber importing industry. 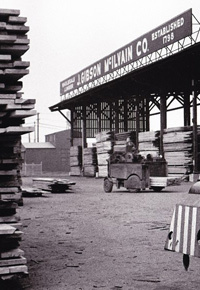 In 1970, J. Gibson McIlvain Lumber began developing international partnerships with mills across the globe. While the daily operations of J. Gibson McIlvain Lumber look quite different than they did in the beginning, they’re still led by members of the McIlvain family. J. Gibson McIlvain III is the president, and Caroline McIlvain (a member of the 7th generation of McIlvains to be involved in the business) is our international purchaser. 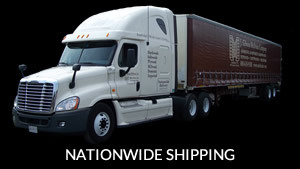 While we’ve shifted our specialization to importing exotic hardwoods, we also continue to be a strong industry force in supplying domestic hardwoods and softwoods, as well as plywood and millworks. From our humble beginnings to our successful and expanding operations, we’ve continued to develop as a result of carefully identifying emerging markets and materials as well as becoming experts in our field. 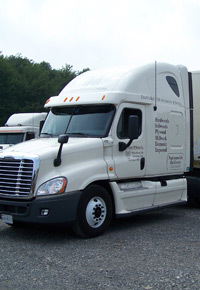 We’re committed to continued growth and adherence to our principles that have made us who we are today.